Watch his video and you’ll see: DJ Martin 2 Smoove is one busy man. 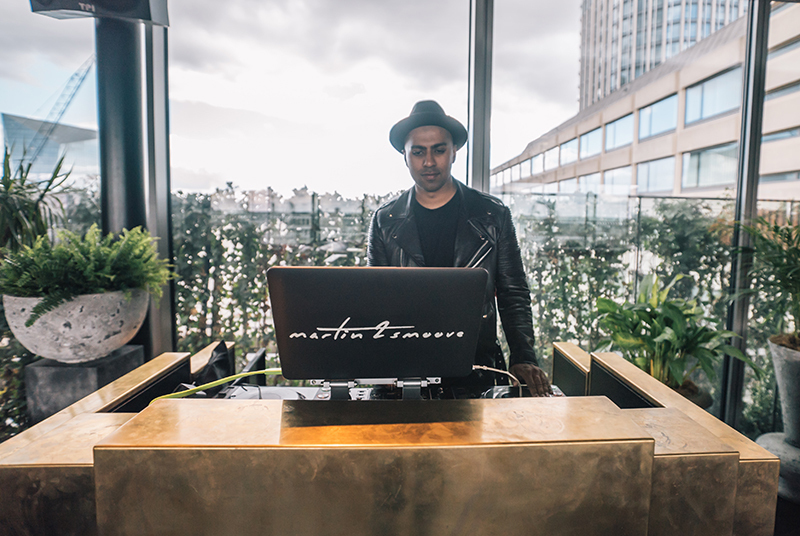 The go-to DJ for rapper Eve, a popular festival act, and the award-winner of the Best DJ at the London Club and Bar Awards (2017), Martin and his turntables are in high demand around the world. Yet, as always, Mondrian’s resident DJ still managed to fit us in for a quick catch up. Is it little wonder we love this guy? @Martin2Smoove - "This is what I do" from Martin2Smoove on Vimeo. “It was so crazy. On Friday, I did a five-hour trip to Plymouth and back to DJ for a crowd of 40,000 people. Then I did a trip to Scotland to DJ at another festival for a crowd of 60,000. By Sunday, I’d performed to more than 100,000 people. I was tired as hell, and I just couldn’t be bothered to go to work. Speaking with Martin, you can’t help but be impressed by his passion and positivity – he radiates good vibes. In the hope that his killer attitude (and style) would rub off on us, we set about getting to know the man behind the booth, DJ Martin 2 Smoove himself. Here’s what he had to say. "I always used to collect records. When I went to Keele University I was pretty sociable, so I began throwing house parties and hosting hip hop nights. I then warmed up for Trevor Nelson, who’s quite a big DJ in the UK. He recommended me for a job with Hanif Boogie – arguably the country's best promoter – at Ministry of Sound. 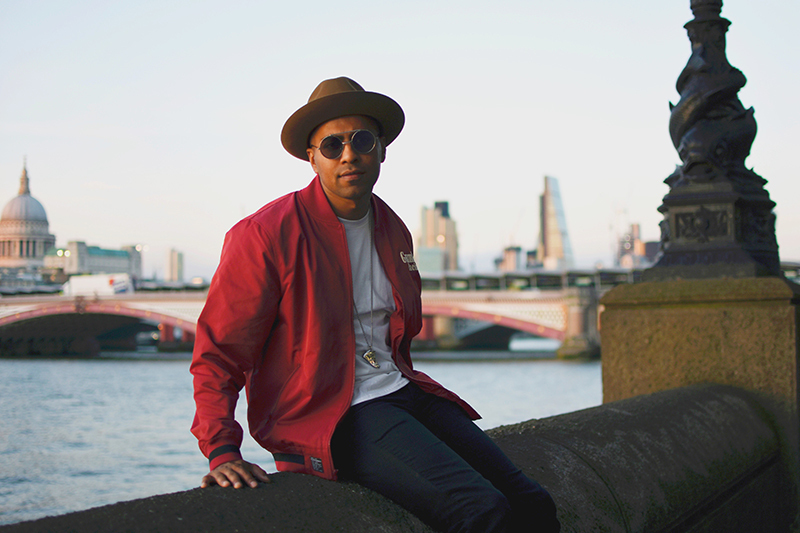 I joined Ministry of Sound straight out of uni and everything went from there really." "It has to be hip hop. I love it. We’re in a really good time for hip hop too. 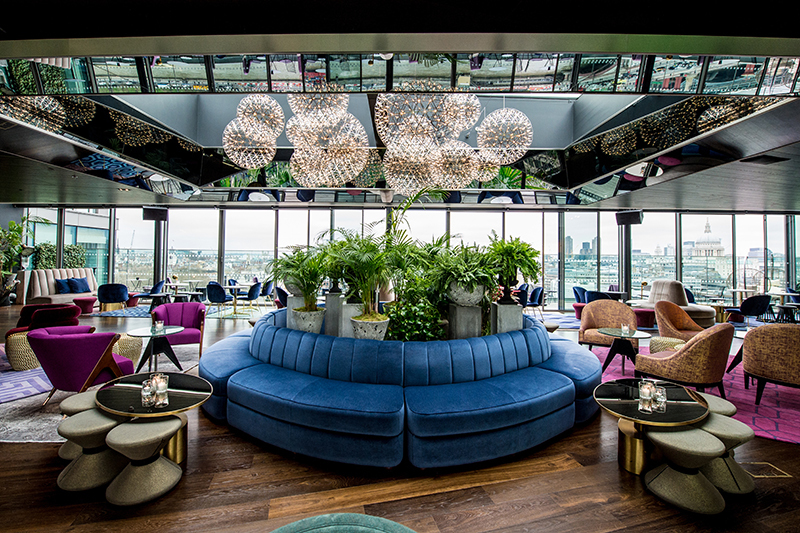 A lot of people who grew up in the '90s are adults now and starting to go out to amazing places like Mondrian London, and they want to hear an LL Cool J or Biggie track." "You take little risks. I always start off with a tune that is quite common ground, then take a risk with a different song. If they like that tune, you take a further risk, and so forth. If the audience isn't into it, you rein in your music choices a bit. It’s all about taking calculated risks and creating unique experiences." "I hardly ever plan what I play in advance, I make sure I’m up to date on my tunes but that's about it. I’m friends with some amazing DJ’s and I always ask them what’s hot for them at the moment but besides that, I don't prepare that much." "I can’t think of a better hotel to be working with. When you walk into reception, Nelly is playing or you’ll hear a NARS record; its high-end but it’s also effortlessly cool. I’ve played at the other hotels and this is definitely the one for me. I can rock up in my Nikes and a Snapback [hat] and still be cool. There’s not a moment where I’ve ever felt like I'm at work when I’m here." "My affiliation with Mondrian actually started a few years back. I used to work at a well-known club in London and it was wicked – you’d have Kevin Hart come down, British royalty would come along and party, as well as people who just loved hip hop. 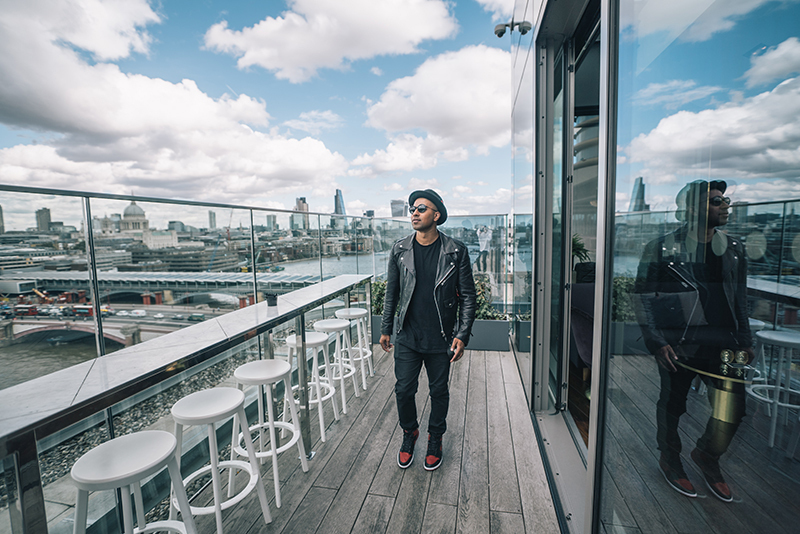 A contact moved from there to work at Mondrian London and when the team at Dandelyan wanted to start hip hop Sundays, he put me forward for it." "I started running Sunday Lyan and loved it. I do it pretty much every Sunday. If for whatever reason I can’t make it, I have a really amazing clique of DJ’s that will come and fill in. 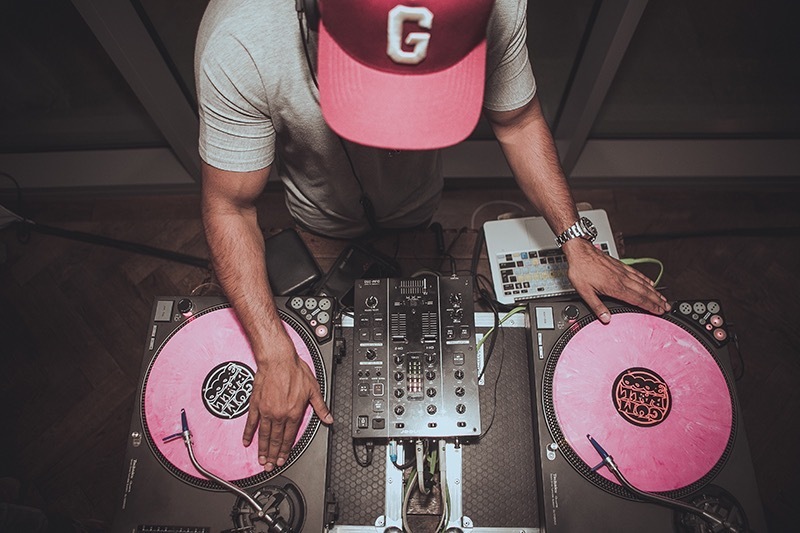 Both Will (DJ) Santero, a Red Bull freestyle champion, and DJ Cable, a DMC champion who also plays for BBC1 Extra, are the best hip hop DJ's out there. The people that I bring here are really credible, cool party DJs. They play for the crowd rather than for themselves." "Everyone’s here to have a good time, and it’s our duty to make sure people have a memorable time. You’re having the world’s best cocktails, why not hear the world’s best music? I’ll always listen to people’s requests, whether or not I’ll play them is a different thing, but I always listen and try and make it work." Martin 2 Smoove enjoys working alongside Dandelyan's bar team. "Whenever I’m in town with friends, I always tell them we have to go to Dandelyan. It’s just brilliant. The staff are amazing. Whatever Ryan and the crew are doing in terms of picking staff, they’re picking really well." "When the team first got me involved in Rumpus Room, they wanted to move away from the traditional-style house music that’s usually played in London’s clubs. For Thursday's Resident DJ night, we went for a jazz and hip hop influence. I play reggae for an hour, then we’ll play anything from Ray Charles to Otis Redding to Jay Z and I'll even throw an Adele remix in there. It’s stuff that people know and love." Martin hosts Resident DJ nights at Rumpus Room each week. "Prince, definitely. Michael Jackson and James Brown too. I like Chris Martin, Jay Z, and I love Kanye for his passion, style and expression. Bruno Mars is amazing too." 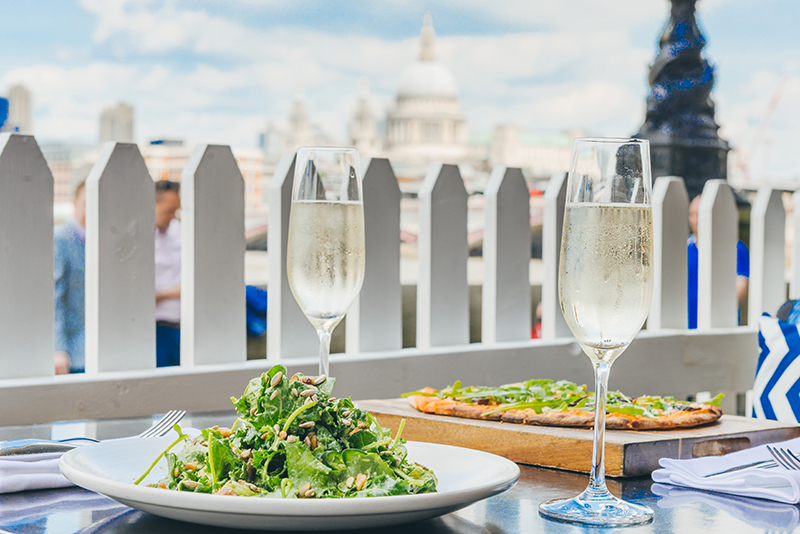 Martin's ideal weekend includes a bite to eat at Sea Containers. "Hopefully my fiancé will be off work and we will go for a picnic together and go cycling. 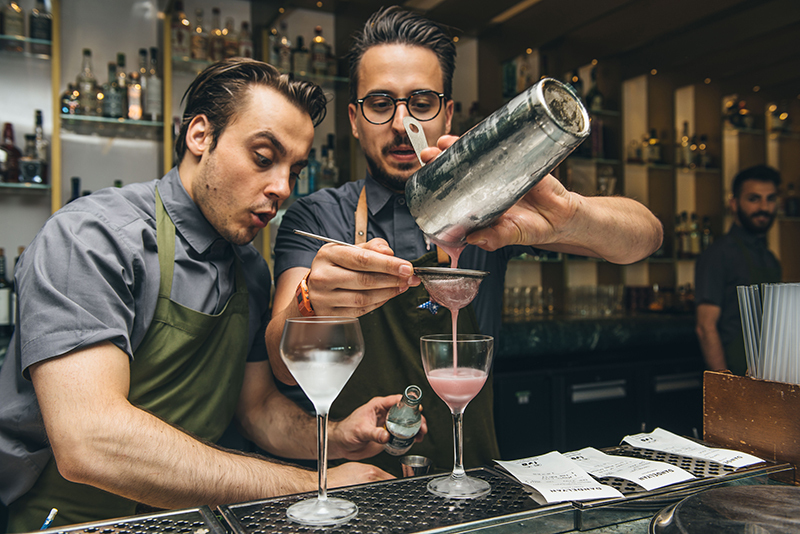 Then we might head over to Dandelyan for a drink and grab some food in Sea Containers. Something I really want to do is go to the Buckingham Palace and have a look around and see how the Queen lives. There’s so much to do in London, I love it." "There’s a theory – if you’ve done your 10,000 hours, you can cope with anything. I’ve definitely done more than 10,000 hours of DJing now and it becomes second nature. There’s not many situations that I haven’t been put in." "I started by giving out flyers to uni students, now I get fist pumps from David Cameron at a gig (true story). I’m very fortunate and lucky that the hard work has paid off. Who would have thought that when I first started giving out flyers that I would get here? It’s amazing." Looking up: The sky is the limit for London's Best Dj. "I want to get more into music production, so Superhero DJ’s – a DJ group including myself, Andy Purnell and Rewire – will be a big focus of mine. We do a lot of festivals together already and now we want to produce music collectively. I still want to do my own stuff too, of course. Basically I want to continue to work with cool, nice people and good brands, play the best music and see where it takes me." Knowing Martin, it’ll take him far. This is what he does, after all.